Las Vegas hotels have become progressive joining other major cities by establishing "no smoking" policies throughout a few of the city's hotel and casino properties. More and more people are seeking the indulgences of live entertainment, food and games that Las Vegas offers without having to be exposed to its notorious smoke-filled rooms. An additional benefit is to children who are adversely affected by smoke. 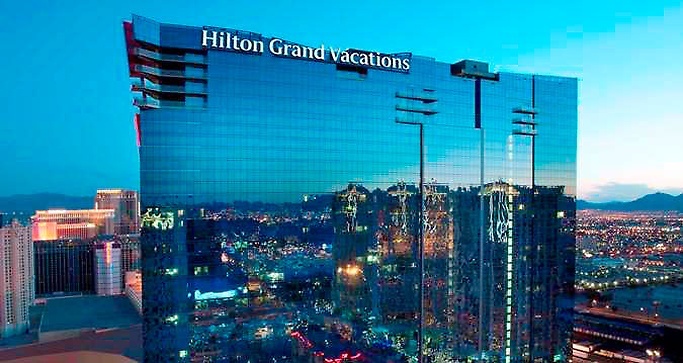 Located in the heart of the Las Vegas Strip, Elara By Hilton Grand Vacations provides an unsurpassed resort setting. Elara's stylish studios and grand suites feature up to four private bedrooms, with each suite containing state-of-the-art entertainment systems and kitchens. And depending on your choice of suite, you'll also enjoy use of a sofa sleeper, a whirlpool tub, an eight-foot projection TV, a washer and dryer and more. 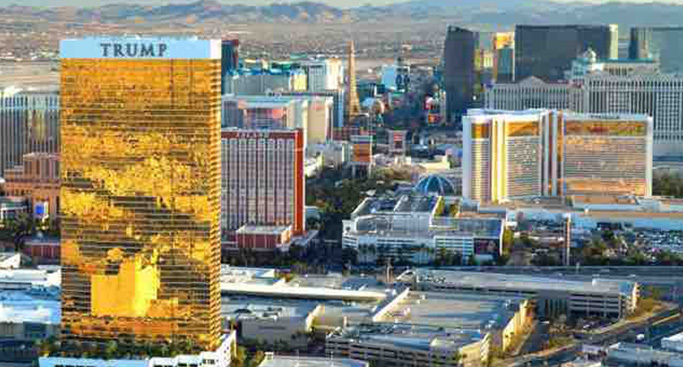 Trump International Hotel is just steps from the action of the Strip and directly across from the Fashion Show mall. Its location and amenities make it a good prospect for families seeking non-gaming, non-smoking and hotel rooms with kitchens. Located down the street from the Wynn Hotel (and about a 10 minute walk to the Venetian), the Trump makes it easy to get to the heart of Vegas action. MGM Grand's Signature resort is a non-gaming, no gambling hotel that functions like a luxury resort but feels like a timeshare, boasting impressive amenities like a fully functional kitchen or kitchenette. Guests can still enjoy MGM Grand's many offerings, including several on-site restaurants, pools, and of course, the Casino. But unlike that timeshare, rooms with kitchens or kitchenettes aren't equipped with dishware, cooking utensils and silverware. Don't worry, you won't be eating with your hands...Those items can be requested at the front desk upon arrival or delivered by a concierge free of charge. Just remember to be specific about the number of pots and pans, silverware, and dishes that you'll need. 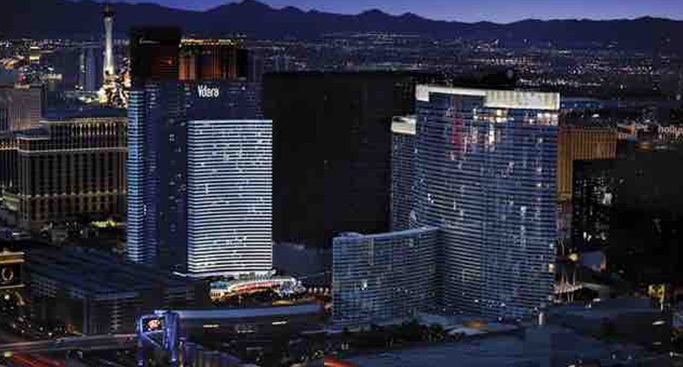 Vdara Hotel is nestled inside the City Center Complex. This non-smoking hotel provides guests with 1,495 decadent suites featuring gourmet kitchens, some include washers and dryers. The Vdara's Sky Pool and Lounge is located on the roof and is like a sanctuary offering stunning vista views and private cabanas. The hotel's spa area is an unbelievable 16,000 square feet of escape from the glitz of Las Vegas. However, many family activities are within a short distance including the Fountains of Bellagio just next door. 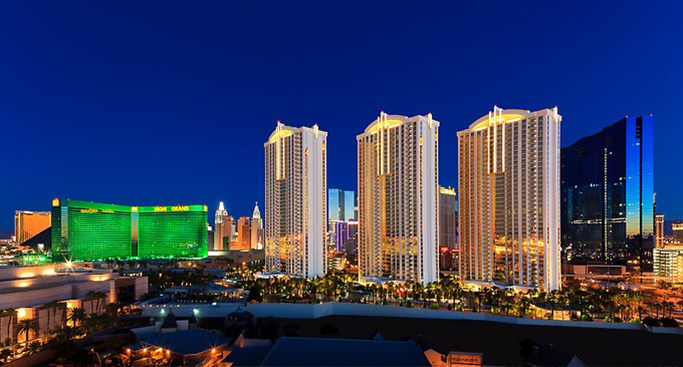 Further south of the Vdara Hotel, kids can ride one of the most thrilling roller coaster rides in the world at New York New York Hotel and Casino. Tucked just off of the strip, the Marriott Vacation Club Grand Chateau is a full non-smoking hotel and offers gateway to Las Vegas with grand villas and lavish rooms complete with full kitchens, washers and dryers, and free WiFi. While you're here, enjoy free Valet parking, the on-site fitness center, a swimming pool, and a Marketplace shop to pick up necessities. The Marriott's best asset, perhaps, is its swanky rooftop bar overlooking the Las Vegas Strip, SkyBar 38. Plus, there are no resort fees for your entire stay. 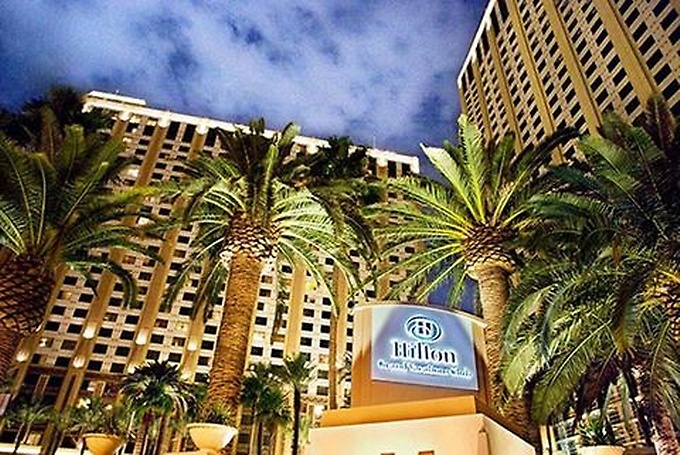 Right on the Las Vegas Strip, Hilton Grand Vacations is in the heart of the action on the north end of the strip. Non-gaming Las Vegas hotels are a refuge for families, and you can choose from studios and one- and two-bedroom suites. All suites have full kitchens complete with all the necessities and full washer/dryers. Of course, this hotel is completely non-smoking. 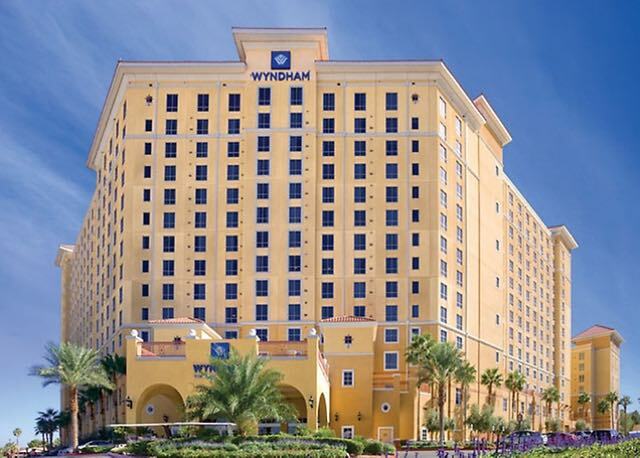 Going a stone’s throw off the strip comes with lots of amenities at the Wyndham Grand Desert Resort Las Vegas. Two-bedroom resort suites are an expansive 1,000 to 1,325 square feet and can sleep six visitors. There is a full kitchen, dining area, two bedrooms, a whirlpool tub, and a washer/dryer. For smaller families, a one-bedroom suite that sleeps four might do the trick, with a space of about 600 to 850 square feet. There is a king bed in the master bedroom and a queen sleeper sofa in the living room. Plus, there’s a kitchenette and a washer/dryer. Renaissance Las Vegas is billed as a boutique luxury hotel located just east of the Las Strip, just across the street from Bally's. You'll find contemporary yet comfortable hotel rooms making Renaissance a good choice for families wanting to be in the middle of the Vegas action. This hotel is the largest smoke-free, non-gaming hotel in the area and offers the trendy ENVY Steakhouse, an award-winning Las Vegas restaurant located right inside the hotel. The Platinum Hotel and Spa is located at 211 E. Flamingo Road, Las Vegas, NV 89169. 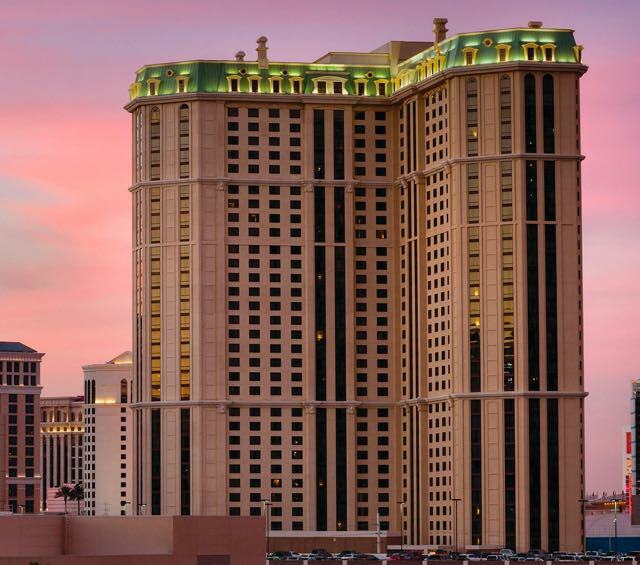 Just off the Las Vegas Strip, this luxury hotel offers 255 one and two bedroom suites. They also feature their Strip View Marquis Suites with wrap-around balcony and private terrace. All suites include washers and dryers, full kitchens, plasma TVs and jetted tubs. Other amenities include wireless Internet, spa and both indoor and outdoor pools. The Platinum Hotel and Spa is ideally located for parents and kids to enjoy the many family activities available on or near the Las Vegas Strip including the Atomic Testing Museum just down the street. They offer great hotel packages such as their "Family 4-Pac Vacation" consisting of two nights' stay, snacks, pizza, four movie tickets, sodas and cereal for four people.